Check that you locked the front door? Wanted to unlock the front door remotely? Unlock your garage door and front door without even taking your hands from the steering wheel? Activate alarm sensors and cameras simply by driving out the driveway? What about when you’re away from home automatically turning lights and TV on and off simulating you are home whilst you enjoy the holiday you so desperately need? Integrate other smart home technology’s like Google Home, Apple Homekit, Amazon Alexa? These are the types of scenes that can be configured using a ZWave Wi-Fi gateway combined with ZWave compliant products. Z-WAVE is the leading smart home technology that is inside everyday products like lights, locks, thermostats, and much more. 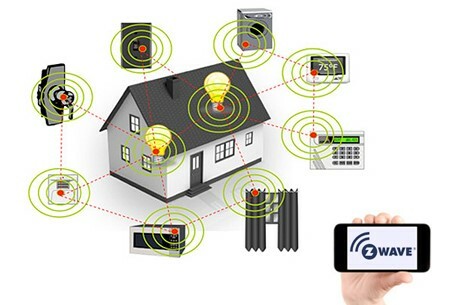 These products work together to create the backbone of your Z-Wave Home Automation smart home and enable you to use your phone or tablet to create one-touch scenes that help with daily activities like: saving energy, keeping your home secure, looking after your loved ones and being more comfortable. The beauty of Z-Wave is that there are more brands, more styles and more products to choose from. You can truly create your smart home, your way.